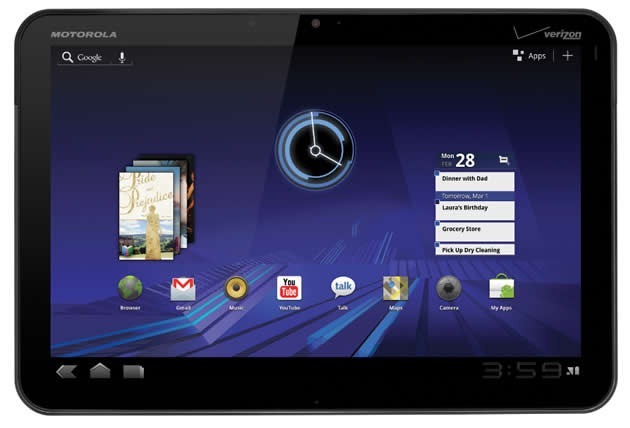 Yesterday at Google I/O, The Goog announced the next version of Honeycomb (Android 3.1), and said that the first tablet to see the update would be the Verizon version of the Motorola XOOM. Motorola followed up that announcement with an official statement today, including when the other XOOM variants could expect to see to get some updated Honeycomb action. XOOM owners will be able to enjoy some nice improvements with this update, including support for the new Movies feature in the Android Market, resizable widgets, full support for the newest version of Adobe Flash player (10.2), which brings drastic improvements to performance and stability; and support for USB peripherals like game controllers, keyboards, and mice. The update started rolling out yesterday and many VZW XOOM owners have already received it. As far as the rest of the XOOM world is concerned, Moto said that the update would roll out to WiFi and "other variants" over the next several weeks.